Love this web site and learning new sts. Also love listening to the birds in the back ground. It is very soothing. Would love to know if they are wild birds or pet birds. This pattern doesn't work. It ends up increasing. Perhaps you're forgetting a decrease? Thank you! I found a problem in the way I did my yarn over. I had been told be someone to put the yarn over and knit a stitch to do a yarn over, when they're actually two separate steps. I'm pretty new to knitting and usually follow your posts and videos carefully to learn patterns. I tried the pattern 5 or 6 times and got the same result but I understand why now. Thanks for the lovely pattern. It's working beautifully. 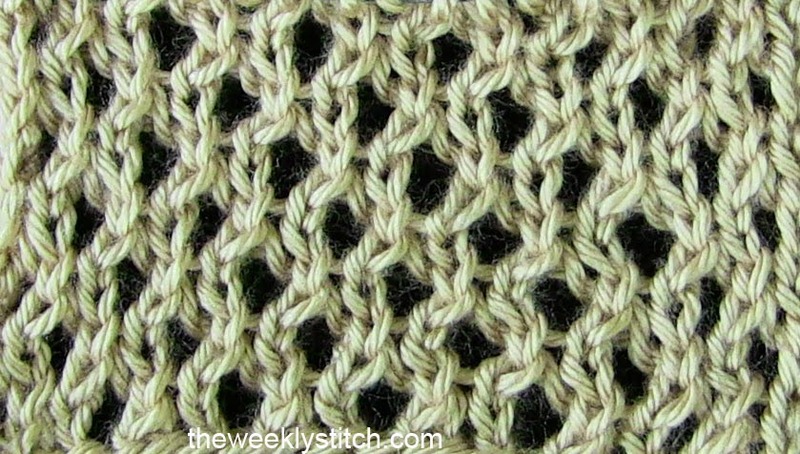 How do you fix your mistakes when doing this stitch? I mixed up a row 2 and row 4. I couldn't figure out how to go back so I've just ended up starting over. I've had to start over twice and I don't want to have to do it again. Please help. Thank you! 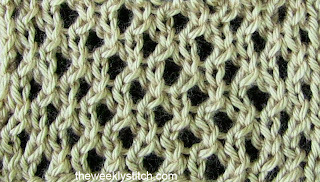 Valmal17, I just work backwards until I reach the mistake, whether in the row I am working on or previous rows, here is a link: https://youtu.be/bT_vimOyg9s Or, you may want to put in a life line on a row that you know is mistake-free, just google "knitting life line" and you should find how to do this.